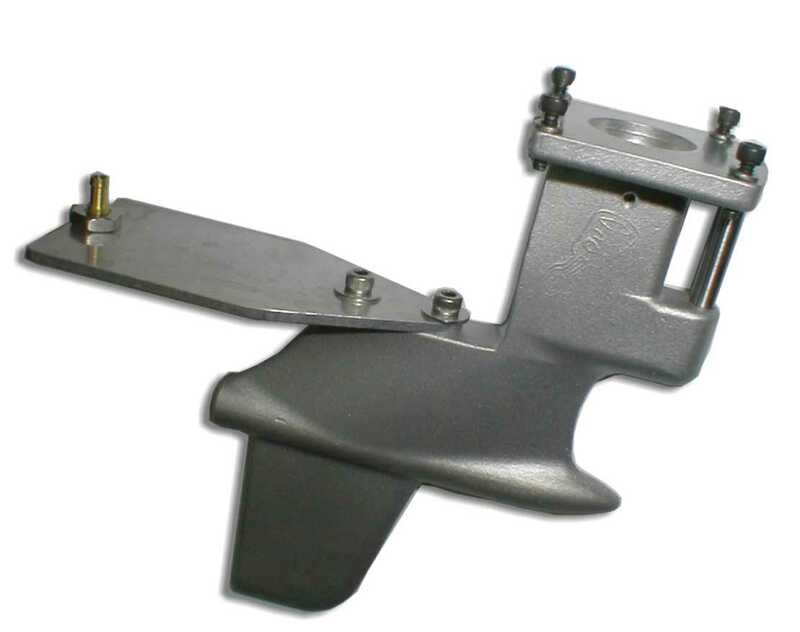 One-piece, cast aluminum 3.5cc Outboard Lower Drive with internal Stainless Steel liner. Accepts all flex cables and Prop Shaft Assemblies. Redesigned to now include an adjustable cavitation plate with water pickup. Bullet nose and textured finish provides clean water to the prop just like the full-size! NOTE: Satin finish shown. Price is for casting and pivot pin only. PropShaft Assembly, Cables, Mounts, etc. are available.